Your views make absolutely no sense. 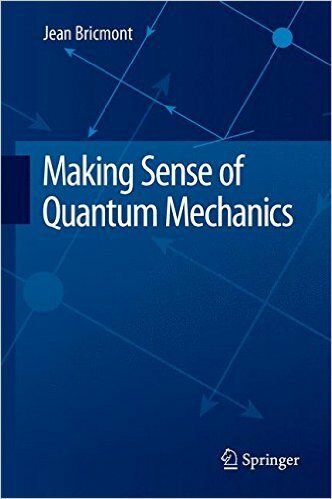 If you realize that one can't write down a Bohmian quantum field theory, you surely understand that it's lethal for the theory - because the QFT phenomena self-evidently exist. So why are you reading and even praising Bohmian books then? Crackpot Bricmont surely doesn't say that QFT is not doable. On the contrary, on page 170, for example, he incorrectly states that "that is certainly doable". -why are you reading [...] Bohmian books ...? So why *you* reading them? You are a hypocrite. I was not systematically reading it. I just know what is in it, just like I know what is in the brains of pretty much all well-known enough people confused about QM. It took me 30 seconds to find the page where Bricmont ludicrously says that Bohmian QFT may be done. I have heard of this book, but have yet to read it. Bohm's QM is not that high on my agendas. Bohm's QM is funny, for it follows pretty much right from the Schrodinger equation, but it can't be in total right. Here is a calculation I did, but never pursued any further or published. Take Bohm's QM result for the modified Hamilton-Jacobi equation and the continuity equation for the so called pilot wave. Now perform a canonical or symplectic transformation on the system. You get another H-J equation and continuity equation. This means that a classical canonical transformation shifts the problem from what Bohm et al called the active channel to another. Yet this must be a manifestation of the analysis and not something physical. So if one does a sum over all possible canonical transformations the result is a form of path integral. So Bohm-QM has a little bit of something going for it. If I had to say what the problem is it is that if you really had an active channel where some objective particle and its observables this runs afoul of the Born rule. If the Born rule is considered a hard aspect of QM (which I think most of us do), then it makes an odd situation for observables to be otherwise defined. This does suggest something with measuement, which Bohm originally this interpretation for. Using the language of "collapse" there is then one Feynman path which manifests itself to the exclusion of others. This then illustrates something strange about the incompatibility with the nature of measurement and quantum mechanics. 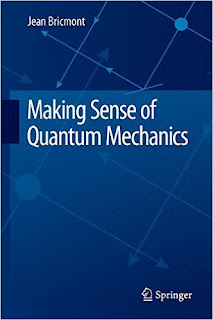 To recover Born rule in Bohmian mechanics you need "quantum equilibrium". This is an additional assumption which needs to be postulated. I guess I have not heard of quantum equilibrium. It is interesting that Bohm's QM requires various auxiliary assumptions, such as guidance conditions or equations. I have questioned whether these things are telling us something about the inconsistency of quantum measurement with QM itself. I say this as someone who rejects all quantum interpretations as not only not being fundamental but also not really proper theories to begin with.